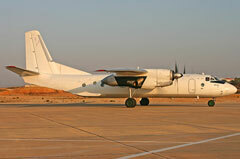 Our company provides the air cargo transportation services to the Customers on the basis of full charter from airport to airport in abroad. 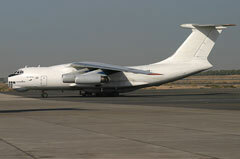 Our Air Cargo Transportation services does not cover the transportation of cargo or partial load. 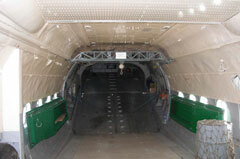 Volume of the cargo cabin 35 cubic meter. 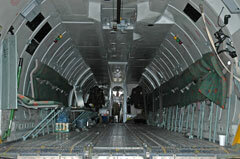 Volume of the cargo cabin 120 cubic meter. 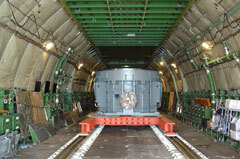 Volume of the cargo cabin 200 cubic meter. 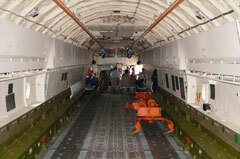 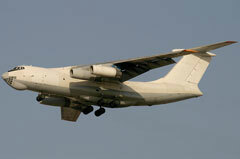 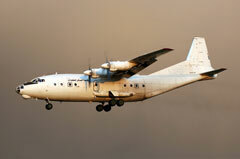 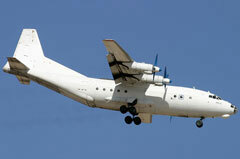 Aircraft is equipped with loading equipment, on-board mobile cranes (total lift power 20,000 KG, mooring equipment. 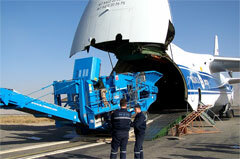 It is possible to transport mono-cargoes with the weight of 55 tons without special permission. 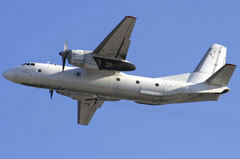 Aircraft is equipped with the central fueling under pressure through four fuel necks disposed in the pods of the left and right main landing gear bearers. 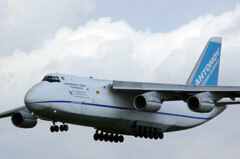 It uses unique AN-124-100 Cargo Aircraft and specialises in the transportation of outsized and super-heavy cargo.